Last week I talked about the quest I’ve been on to learn and grow as a writer. It’s been an exciting journey. 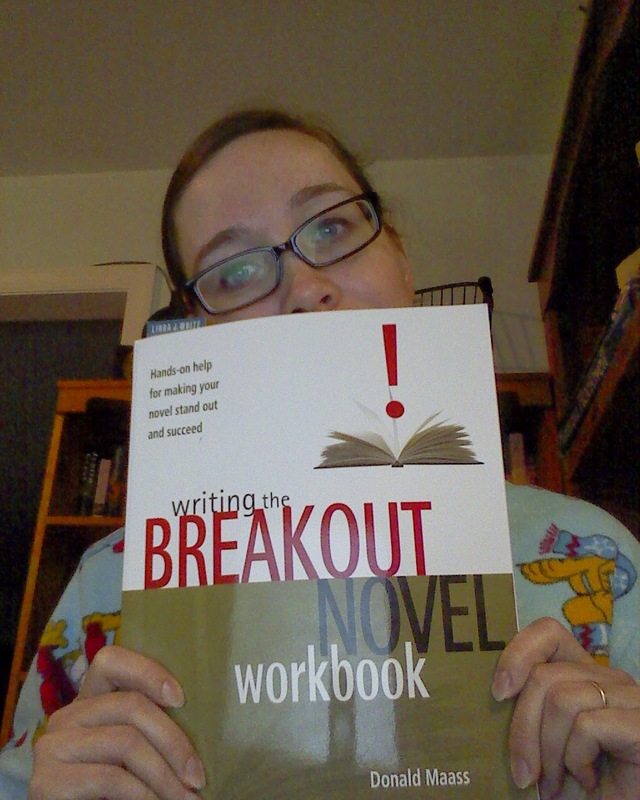 My latest pit stop was to read Writing the Breakout Novel workbook by Donald Maass. I’m glad I won it at the last conference I went to. It’s been a life-saver for my work. What an amazing book. It has changed the course of my writing. Let me put a disclaimer in right here. I must warn all Christian writers, it’s quite racy in sections. And, there is explicit language in some of the excerpts. It’s keeping me thinking late into the night when I’m supposed to be sleeping. I’m thinking about it when I’m eating, even watching television. So what’s his secret? I’ve read many books on writing but because Mr. Maass has given lots of examples in each chapter, it brings the knowledge to life. Each chapter touches on different aspects of crafting your story, some of which I either never knew or didn’t know exactly how to portrait in my work. And at the end of each chapter there are exercises to help take your current manuscript to the next level. I’d recommend this book if you’re serious about making your book best-selling quality. But be prepared to work very hard. It’s not for the faint of heart. You’re going to be mutilating and chopping up your baby. It’ll be so worth it, though. I’m going to be working on my book for the next two months to get ready for conference time. Hope you’ll buy this book and join me.